The country of India is mourning the loss of one of its most interesting and well-known horsemen. S.A.H.A.A. Imam, better known at Tootoo Imam, passed away on January 5 at the age of 97. He hailed from a well-known, prestigious Indian family that played important roles in the political development of India in the early 1900s. Iman was a passionate horseman who authored several books on horses, including the The Centaur, which was one of the first books on horsemanship written by an Indian author. 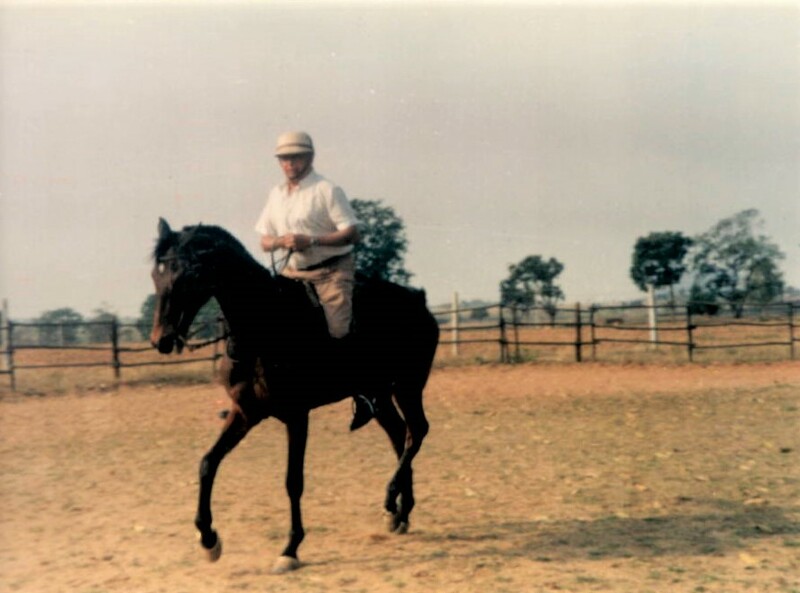 “In my life I’ve had the very good luck to meet consummate horsemen from all walks of life – riders who have dedicated themselves to understanding horses and their way of learning human games for no other reason than that it makes their lives better to enjoy this exchange. I was visiting my uncle Bob Phipps at his plantation house, Bolan Hall in South Carolina, when I had such an encounter. My uncle’s great friend from India, known as Tootoo, was spending a little down time with his family and we all settled in for a convivial time. Much to my amazement, halfway through dinner Tootoo and I discovered we shared an affinity for the same type of horsemanship! He on his polo ponies and I on my Lusitanos. But his affiliated mentor was James Fillis and mine Francois Baucher. Now in dressage sport circles, this would be considered one as the same but in the rarified stratosphere of the equestrian connoisseur it was bound to lead to a heated discussion! Indeed, we had a rip-roaring dissertation of the finer points of the mise en main for haute école work that lasted throughout my uncle’s excellent homemade oyster curry to the persimmon pudding. A duel of descente de main application witnessed by Tootoo’s children’s big eyes that followed our back and forth like devotees of tennis at Wimbledon! Of course predictably, we ended very happy with one another agreeing that the rest of the riders that lived immured by military traditional contact were unenlightened Neanderthals to be pitied. It led to my being invited to India for hunting the boar on horseback – a sport that is so incredibly dangerous a challenge to fine riding that this invite was the truest compliment that has ever been issued to my haute école seat. I received from Tootoo a marvelous book on horsemanship – The Centaur – and I still read its dissertation on contact. As with the current polemic in dressage it is completely à propos! To read an obituary of Tootoo Imam click here.